Try any one of flavored fruit slices and you will get the best of both worlds. The sweetness of candy along with the texture of a piece of fruit. The flavors are mouthwatering and addictive to your taste palette. You will try one and then want to try all. Our flavors include cherry, lemon, orange, watermelon, apple and blue raspberry and are easy to mix and match in our new, flexible shopping cart. 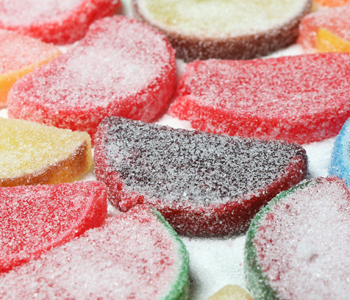 Try our fruit slices and you will find out that they are mouthwatering good! Mix and match your flavors below to satisfy all your taste needs using our customized shopping cart. 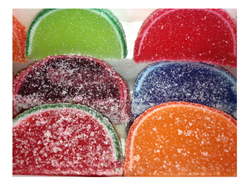 Try our fruit slices and you will find out that they are mouthwatering good! Purchase an assorted variety box to satisfy all your taste needs.